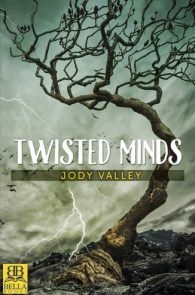 Growing up, Jody Valley wrote poetry and short stories to bare her teenage rebellious soul—in lieu of a journal. She wanted to be either a spy or a reporter, and to never give up her skepticism. When her family frowned on her entering the field of espionage, she settled for becoming a clinical social worker — fulfilling her need to spy — and writing columns and feature stores for newspapers, as well as fighting for social justice. Jody has combined her years as a journalist with her years as a clinical social worker and a social activist to write her first suspenseful mystery novel. She lives with her wife, of 1 ½ years, and her committed relationship—to the same wonderful woman—of 26 years. Together, they have two dogs, one granddog, and four adult children and three adorable granddaughters She does much of her writing at her cabin on a lake in northern Michigan. 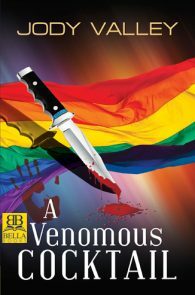 A Venomous Cocktail, Finalist in Lesbian Mystery/Thriller, Debut Author.